Marlborough Sauvignon Blanc is a crowd pleaser but doesn’t really excite. To me, most Central Otago Pinot Noirs fall in the same category. They are pleasant, well-made but predictable. In contrast, Pinot Noir from Marlborough and Martinborough are more interesting. 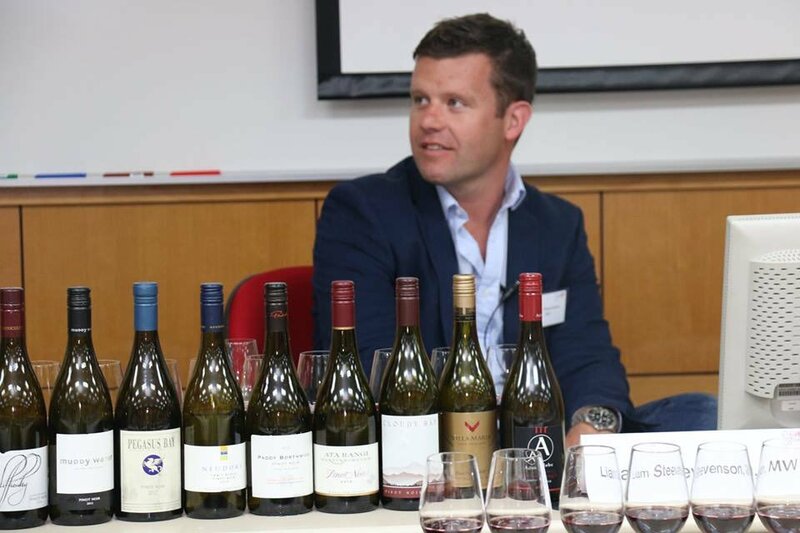 I was proofed wrong at the New Zealand Pinot Noir SPIT Workshop, presented by Liam Steevenson MW and organised by Meiburg Wine Media. We tasted 12 wines from six different regions in New Zealand and those from Central Otago were among the best in the flight. According to Liam, Central Otago winemakers are moving away from the typical bold and heavy Pinot Noir and opting for more gentle extraction and using less new oak. Central Otago: Continental climate, wine has more weight and structure with concentrated dark red fruits. To be fair, I think New Zealand winemakers are getting out of the typical New Zealand mould. The flight of Marlborough Sauvignon Blanc I judged at 2016 CX HKIWSC was not the ‘McDonald’s’ Sauvignon Blanc I tasted a few years ago. I hope more winemakers are exploring and respecting the diversity of their terroir. Ata Rangi Pinot Noir 2014, Martinborough: Earthy, spicy with firm tannin. A good example of Pinot from the region. Available from Altaya Wines. Muddy Water Pinot Noir 2012, Waipara: Fresh with charming red fruits and a hint of spicy notes, silky tannin. Corney & Barrow. Felton Road Calvert Pinot Noir 2014, Central Otago: Biodynamic wine, it is fresh and elegant with that lifted end palate that I always associate with biodynamic wine. Available from Watson’s Wine. Prophet’s Rock Pinot Nori 2012, Central Otago: Red fruits and spices with a nice and round mid palate. Available from Ponti. Kumeu River Hunting Hill Pinot Noir 2014, Auckland: Nice balance of fruits and spices. An elegant wine that rivals a lot of Burgundies. Available from wine’n’things. Wine lovers may argue the best Italian wines are ABC, ABB or ABBC. Whatever it is, the ‘A’, stands for Amarone, is universally agreed that it is one of the top Italian wines. 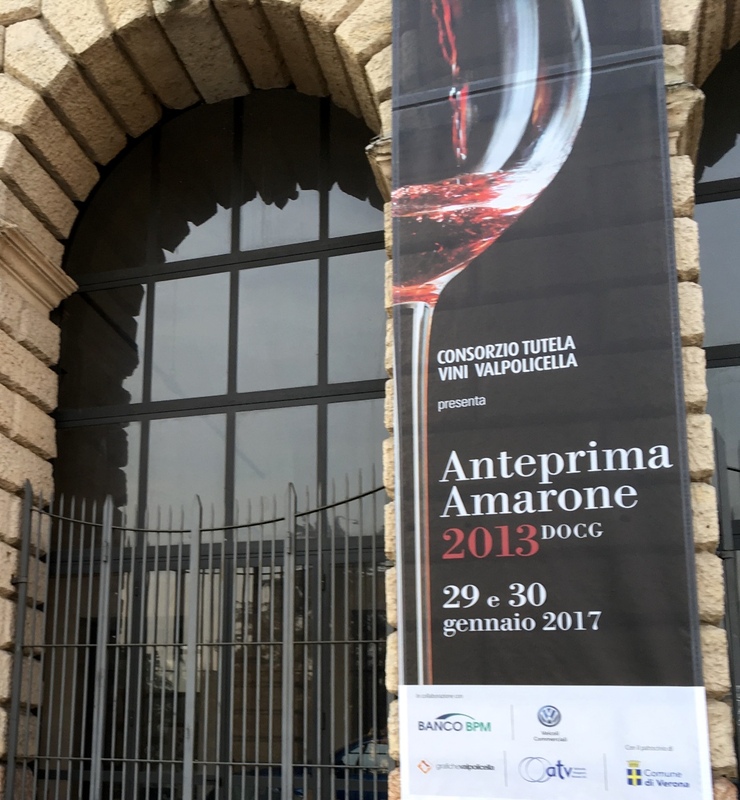 Surprisingly, Amarone has a relatively short history. It was made accidentally in 1936 when a barrel of Recioto, then the apogee of every Valpolicella producer, was left over-fermented, resulting in a pleasing dry red wine that was slightly bitter, hence the name Amarone (a great bitter). 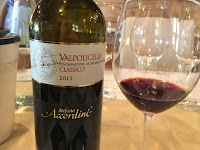 The wine was eventually bottled in 1939 but it was always called ‘Recioto Amarone della Valpolicella’ — the dried version of Recioto until 1990 when it was granted the DOC status and the name Amarone della Valpolicella was adopted. 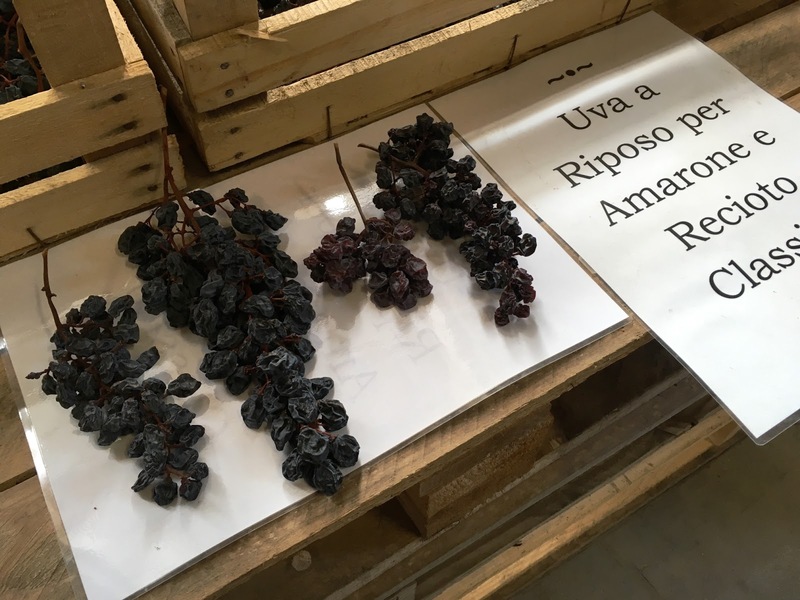 The period of appassimento (drying process) of Amarone is less than that of Recioto and only around 35-40% of water is lost. Minimum ageing requirement is 24 months. It is a rich, big and structured wine with a minimum of 14% alcohol. Dried fruits, spices and chocolate dominate the nose. The style of Amarone has been evolving over years. The traditional style is earthy, complex with no noticeable oak influence but firm tannin. The modern style is bolder, more upfront with riper fruits, more extract and noticeable oak aromas, higher alcohol (can be up to 17%) and more residual sugar. Recently, the style is swinging back from the modern to traditional style and winemakers are making all kinds of Amarones in between. The trick, according to winemakers, is to find the balance so the wine is expressive and reflects the philosophy of the maker. Nevertheless, today’s winemakers are focusing on making more refined wine that reflects the land, the tradition and that can age gracefully. Elegant and drinkabilty are on nearly every winemaker’s lips! 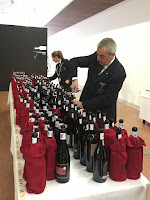 I was privileged to have attended the press session of the Anteprima Amarone 2013 tasting - the release of the vintage, with other international wine writers. Served by sommeliers bringing the wine to us at the table, we could choose to taste bottle sample, barrel sample (some Amaroness are aged for 5 or 6 years before being released), or both. I chose to taste all 83 of them, first bottle sample followed by barrel samples. Nearly all the wine were too young to drink but they all showed complexity and depth in various degrees. I focused on the style and agree that more winemakers are moving away from the bold and jammy style, which for me is a positive direction. Amarone is a big wine already and most winemakers I talked to describe Amarone as a ‘meditation’ wine. The modern style may be pleasing at first impression but it is too heavy to have more than a couple of sips. To me, a meditation wine is about longevity and gracefulness. Therefore, a perfect Amarone should be powerful yet subtle, flavourful but with the freshness to support it. Founded in the 70s with vineyards at 550m altitude, this family owned winery came a full circle by first having vineyards in pergola system and wines aged in tonneau (900 l barrel), then changing to guyot system and ageing in barrique (225l barrel) sone 20 years ago and now back to pergola system and ageing in tonneau. The philosophy of Tiziano, the second generation now in charge, is to observe tradition but also ready to change. Accordini Stefano Valpolicella Classico 2015 DOC: a refreshing wine with fresh cherry and violet. Accordini Stefano Acinatico Ripasso 2008 DOC: a beautiful wine with dried fruit nose and a savoury palate. We compared this with the just released, concentrated, 2014 vintage, to show the ageing potential. 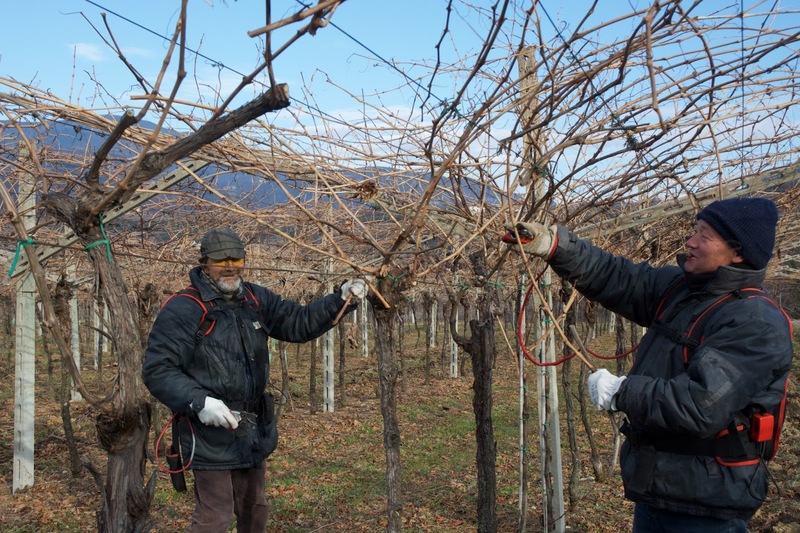 Probably one of the smallest wineries in the region with less than 3 ha of vineyard, it is a brother-sister-father venture with brother Daniele being the winemaker and father Bruno looking after the vineyard while sister Lara does the talking. They do a lot of experiment including a white Corvina (Biahcheté), a simple but pleasant wine. Damoli Checo Amarone Classico DOCG 2009: Black fruits, spices and chocolate mixed with a slight savoury notes. Its first vintage was 2005 and the wine only released after at least 5 years of ageing. They were generous to share a 2001 vintage, which was an experimental vintage and only 35 bottles left. 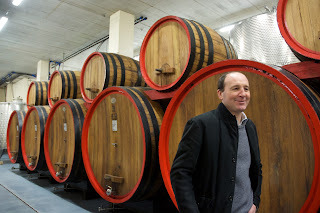 Translated as ‘According to Marco’, owner and winemaker Marco Speri comes from one of the historical winemaking families but decided to started his own winery in 2008 to show wine lovers his way of interpreting the grapes by combining tradition and technology, by making wine the way his father did but with modern temperature control. It is hard to create your own identity under the shadow of a prominent family but Marco succeeded. His biggest compliment is that the old men in Valpolicella appreciate his wine. Well, I certainly do, not only the wine but also the labels. 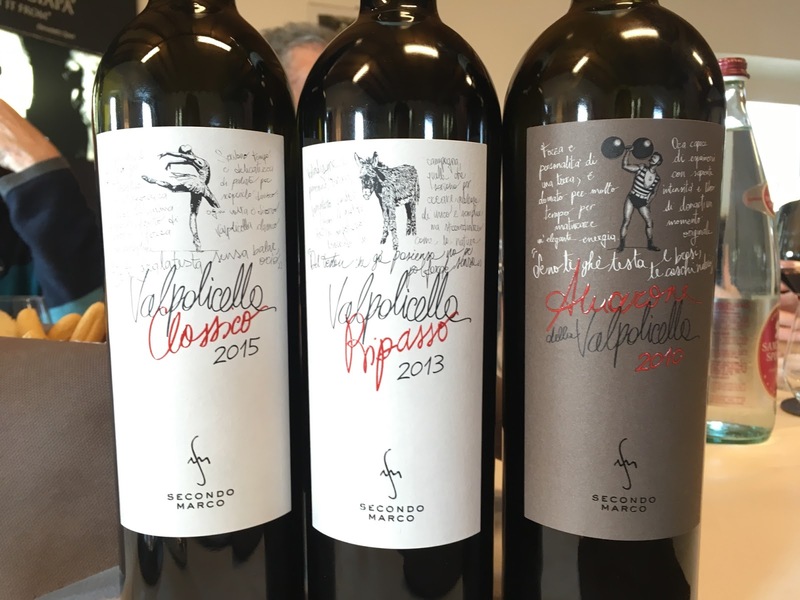 Secondo Marco Valpolicella Classico 2015 DOC: lively, fresh cherries and good length. The label is a ballet dancer to denote the lightness of the wine. Secondo Marco Valpolicella Amarone 2010 DOCG: still very fresh, the wine is well-integrated with depth and structure. The weight-lifter on the label implies a powerful wine. Monte del Frá Amarone della Valpolicella Classico Lena di Mezzo 2010: We had a vertical tasting of 2012, 2011, 2010 and 2009 vintages. The 2010 is a blend of black fruits, dried prune and spices with a soft, integrated palate. Monte del Frá Amarone della Valpolicella Classico Scarnocchio 2009: Scarnocchio is the ‘Grand Cru’ site, a very old terraced vineyard that lies within the 17.8 ha Lena di Mezzo. This is a complex wine with multiple bouquets, powerful yet austere. La Dama Recioto della Valpolicella Classico 2012 DOCG: Zesty with ginger and cinnamon and candied fruits. The grapes were from the parcel where the grapes reach a high sugar level yet maintain a high acidity, no wonder the liveliness. Aldegheri Lugana Cà Perlar 2015 DOC: Made with 100% Trebbiano di Lugana grapes and fermented after three weeks of drying then aged briefed in large old oak, the wine is fresh with yellow fruits, and a rich, mineral finish. One of the fine examples how a neutral grape could be made into an outstanding wine. I Campi Soave Classico Campo Vulcano 2011 DOC: Soave is next to Valpolicella and some producers have vineyards in both regions. This Soave has intense aromas of citrus and yellow fruits, fresh acidity and persistent length. For more information on Valpolicella region and its wines, check out the Consorzio’s website.